The villagers were delighted to have three LED lights and a fan working through the no-maintenance solar panel. 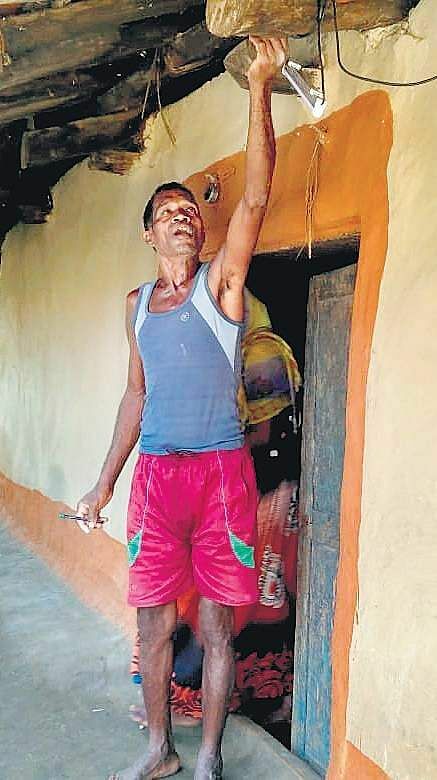 RAIPUR: For the first time in 13 years, residents of Palamadgu village in Sukma district of Chhattisgarh saw their homes light up recently when the tribal hamlet got electricity connection under ‘Operation Ujala’. Solar panels were installed at 125-odd dwellings in the village by the Chhattisgarh State Renewable Energy Development Agency (CREDA). It wasn’t an easy task to electrify the village because Palamadgu is still considered to be a Red bastion and some of its residents hold senior positions in the Maoist ranks. In fact, it was the Maoists who had snapped the power lines in the village 13 years ago. So, police and CRPF personnel remained stationed to ensure security for CREDA’s technical staffers who swiftly placed off-grid solar panels in each hut in the village that has been deprived of power connections since 2005. 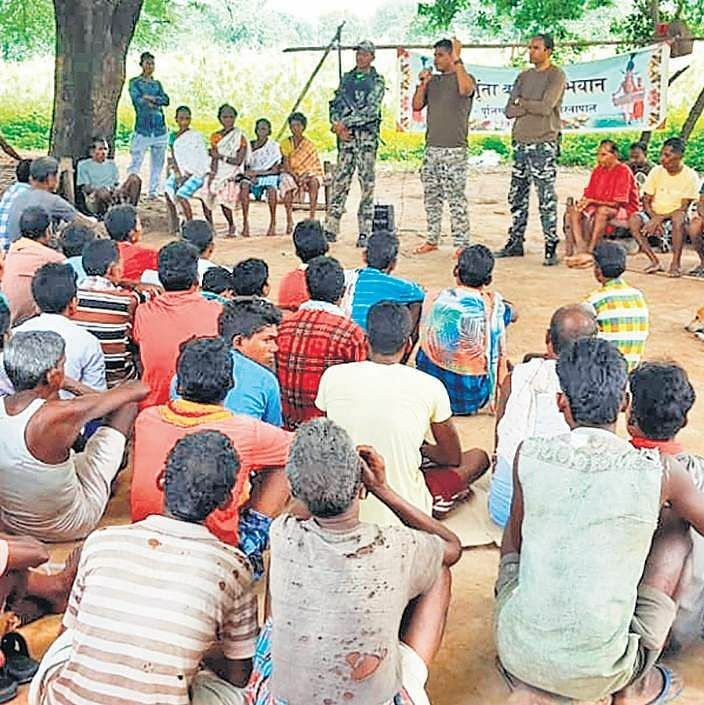 It was during a camp organised by police to raise awareness on the importance of voting that the villagers complained about lack of electricity. This led Sukma SP Abhishek Meena to take the initiative to ensure power supply. In collaboration with CREDA, a joint team of Sukma police and 74 Battalion of CRPF got into the action to make Palamadgu a solar-powered village as 400 personnel were stationed in and around the village for 56 hours to offer security as the mission began. Yet, a sense of terror filled the villagers as 17 tribals have been hacked to death by the Maoists till date on suspicion of being police informers. Some inhabitants from Palamadgu hold senior positions in the Red Brigade in Bastar, so their connection with the village remains strong, said the SP. In fact, the Maoist who had kidnapped Sukma collector Alex Paul Menon in 2012 belonged to Palamadgu and was arrested in August 2016. “Though the villagers had complained about lack of electricity, they were initially hesitant to get the solar panels installed due to fear. So, we decided to begin the exercise from the dwellings of kin of the Maoists,” said Sukma sub-divisional of police officer Vivek Shukla. The move alleviated the fear factor and within two-and-a-half days, every hut in the village was illuminated. The villagers were delighted to have three LED lights and a fan working through the no-maintenance solar panel. “Solar power has replaced the kerosene lamps. We always resented the violence but owing to Maoist terror, never wished the police force visit our village. But our perception has now changed,” said a villager.